Wow! 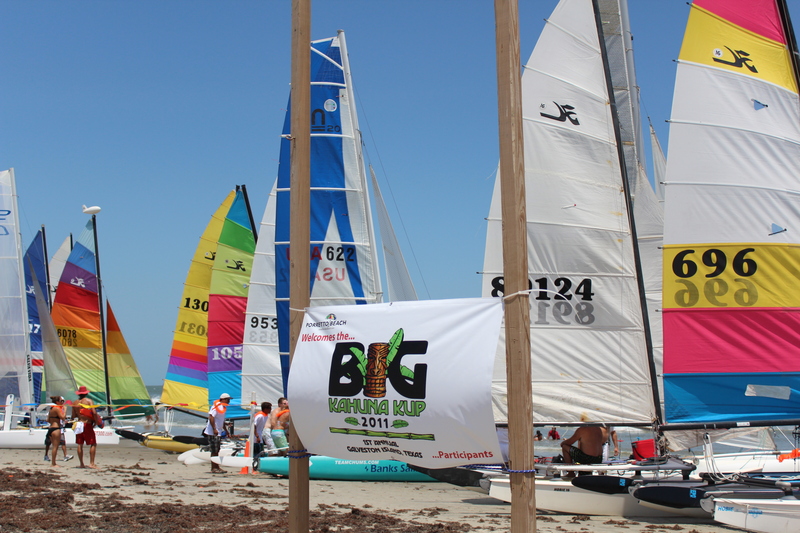 We had an amazing 27 boats turn out for the Big Kahuna Kup! 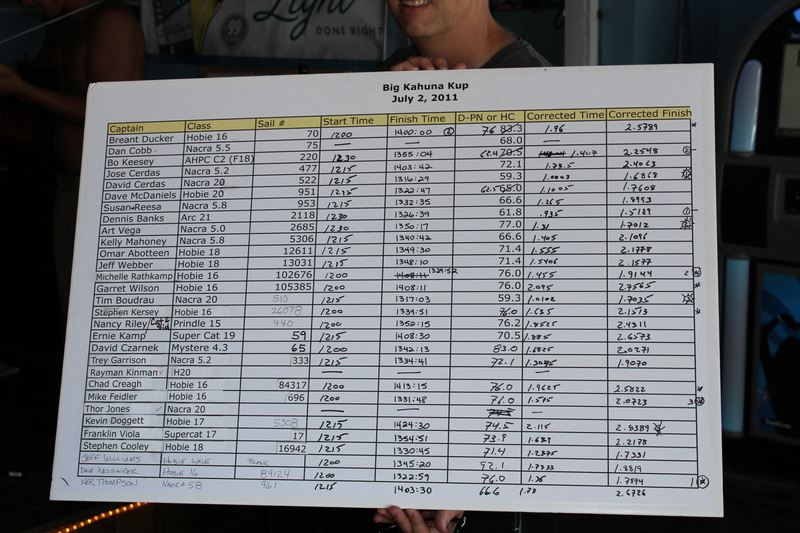 Congratulations to David Cerdas he takes the Big Kahuna Kup on a Nacra 20. 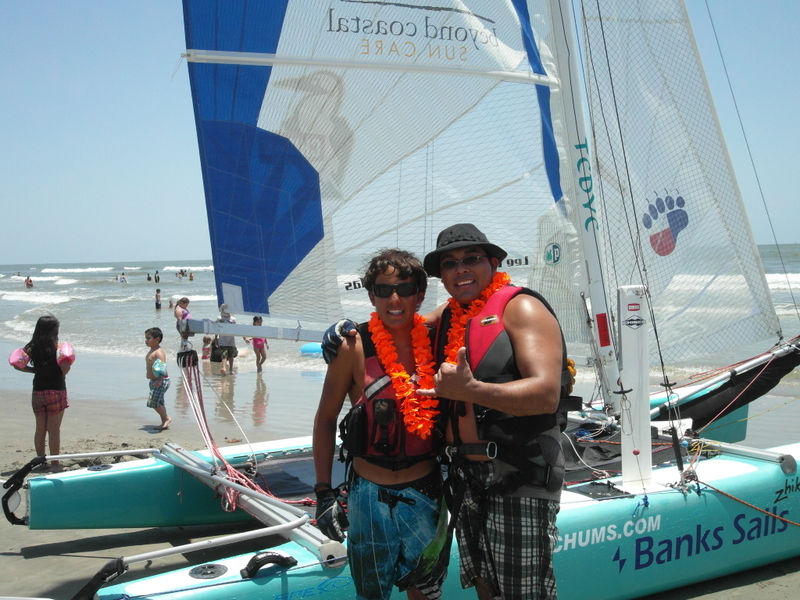 Dave Wessinger took first place in the Hobie 16 fleet way to go man!! 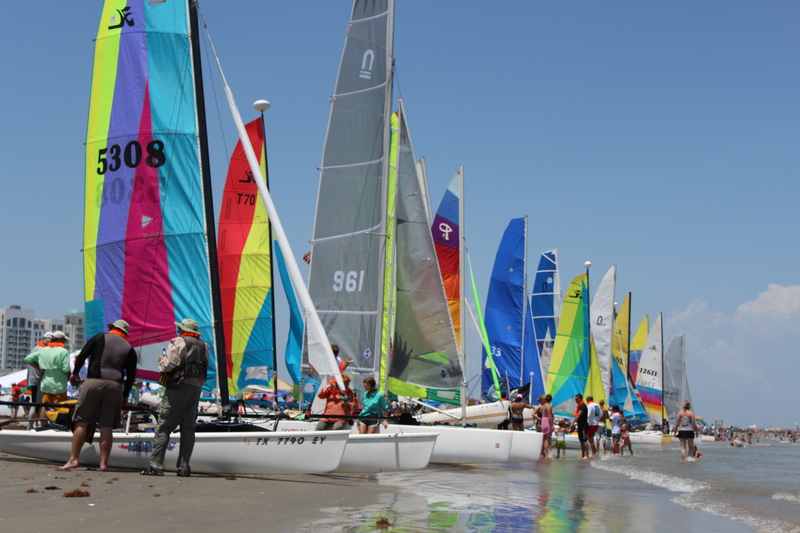 Every boat made it to the finish line with no trouble the sea was calm and the wind was light but it was a beautiful day for a broad reach along the Galveston coast. Porretto Beach & Riptide Surfbar put together a great finish line with all trimmings drinks,food, t-shirts, parking & police. Everyone I talked to had a great time and want to do it again next year so I call that a success! Special thanks to Sonya Porretto, Ben Roeder, Art Vega, Dennis Banks & my wife Kristen Adcock all your efforts made this event possible! Hope we see everyone again next year! Check back later for a link to all the photos we took. 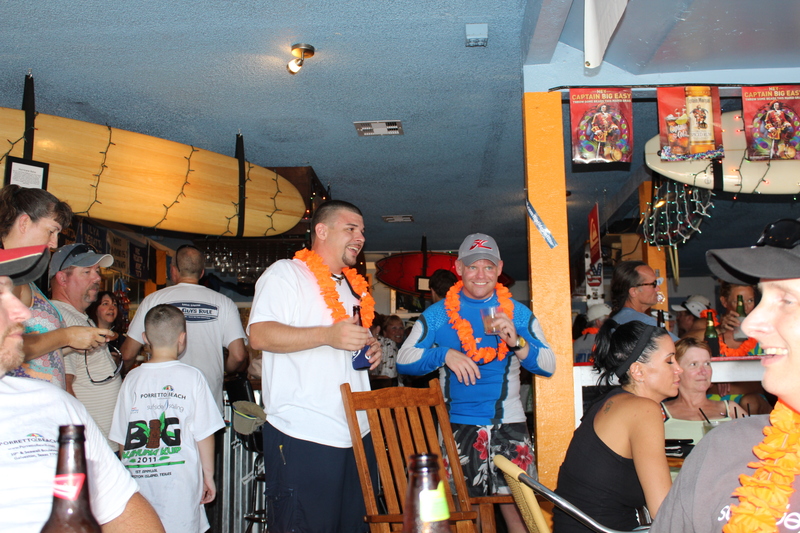 After Party Riptide Surfbar. Thanks Ben! ~ by surfside2010 on July 3, 2011.